Most of us prepare with food and drinks to be better for an emergency situation. 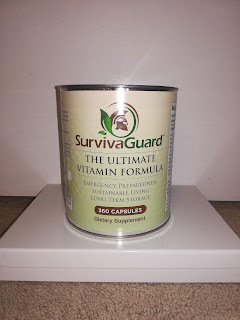 One of the most overlooked item is Vitamins. I once bought 2 jars of Multivitamins from Costco. I ended up not using it in the last 3 years and it's probably went bad by now. 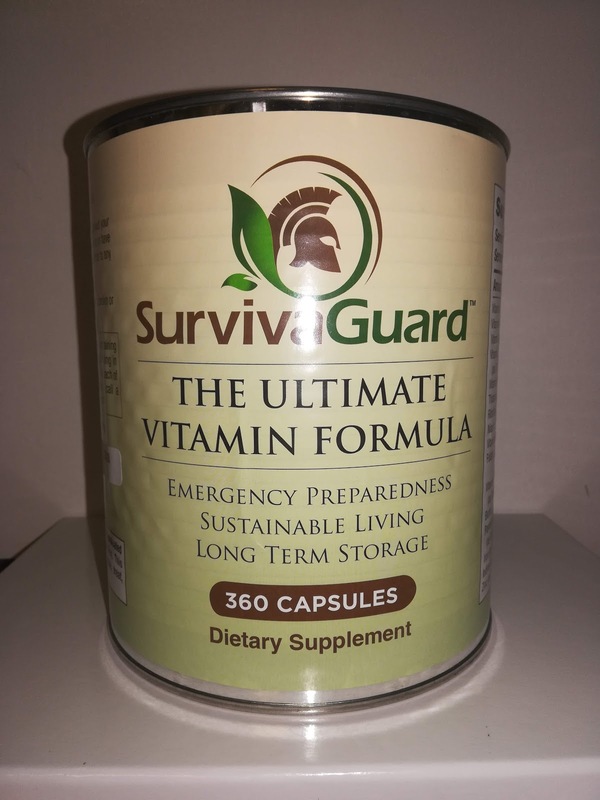 In an crisis, most of our daily food intake will most likely be compromised. We might not even be able to eat 3-5 meals a day anymore. Or we might be on a Protein Bar diet. To assist our body to receive the essential fuel to stay optimal, I feel that this product will be helpful for myself and my loved ones. 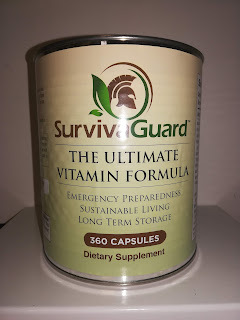 What I like about SurvivaGuard is that they are the only Long Term Vitamin storage in the market. Yes... You can Buy it, and Forget it. 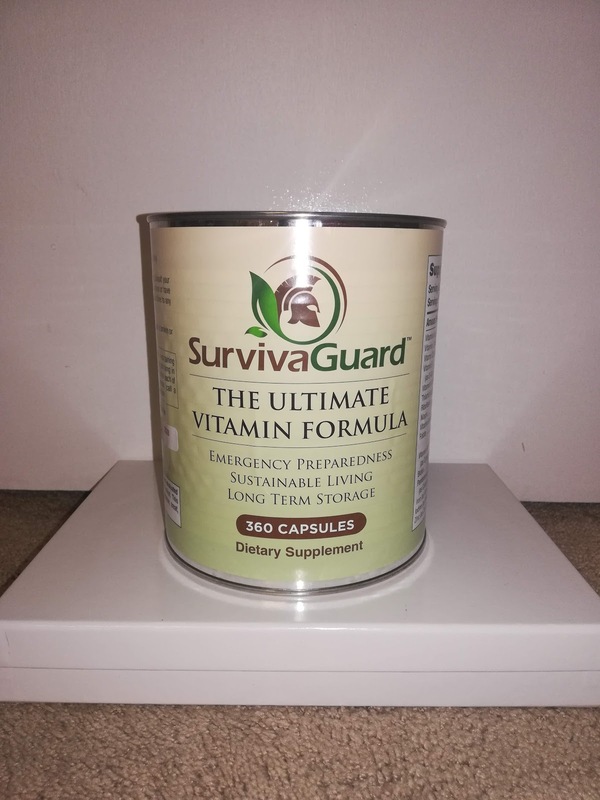 They have this one product where the vitamin is contained in a #10 Can. I bought it in 2018 and the label says that it's good until 2028. I have a feeling that it will be valid for 20 years, but I like the fact that they are not overpromising. So, instead of buying my 2 jars or Costco Multivitamins and throwing it away, I should of just bought this once and kept it. One of these #10 cans have 360 capsules. It says take 2 capsules daily. So that would be a 6 months supply for me! Or if I shared with my wife, it would last us 3 months! I got 2 of these cans so that we have a 6 months supply. Check out their articles on their websites too! It's pretty helpful. And if you have any suggestions on long term supplements, please share on the comments!